A robust hardened steel general walking/ touring axe. A tapered anodized light alloy shaft makes for a lightweight climbing aid. Complete with an ice axe leash. 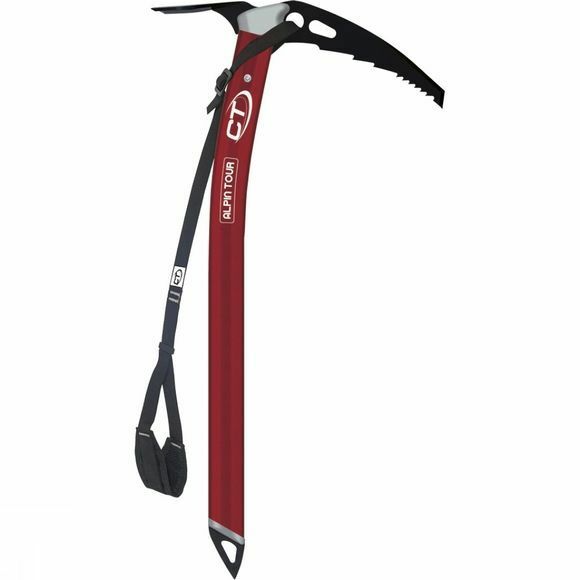 Complete with its own ice axe leash DRAG-TOUR.